Directions: Etna Or Turner To Crane St. Opportunity knocks! 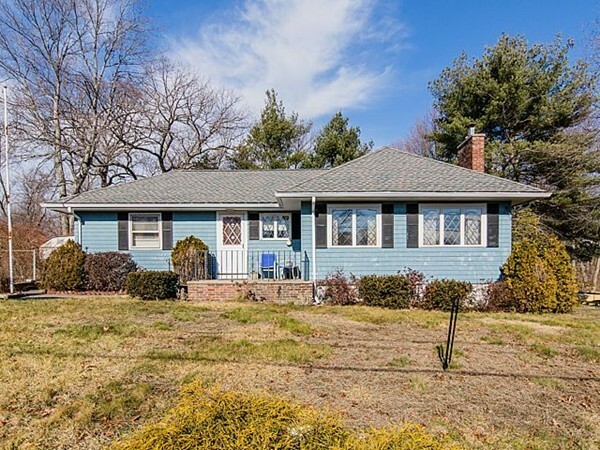 Ranch style home in desirable Ashcroft section of Dedham available for the 1st time in over 70 years. Open country kitchen is great for entertaining. Lovely coffered ceilings. Good size master bedroom. Living room with wood burning stove (hardwoods under carpet in living room). Bathroom with vaulted ceiling and skylight. Spacious corner lot is 12500 square feet! Oakdale school district. Great for 1st time buyer or for a boomer looking to downsize and have one level living. Fenced back yard great for dog owners. Great walking neighborhood, nearby Paul Park and Endicott Train stop. Garden area and lovely perennials. Commuter's delight. Wonderful shopping and dining options within close proximity. Some updating will be required but well worth the effort. Don't delay...this will not last!